In this incident, an oil worker took several photographs of the landscape at the El Tordillo field. His initial aim was to take a photograph of the afternoon, but he came across a circular green light. While it could easily be a flaw of the digital camera, his co-workers claim that they took other photos of the landscape and no green circle was visible. “The photo was taken with a Samsung S5 cellphone,” explained Leo, one of the workers who had access to the image. The photos have circulated among the workers’ WhatsApp accounts for at least a month. Adding information to the witnesses, Leo remarked that there is no glass between the cellphone’s lens and the landscape. “[Photos] were taken from several angles, but the sphere remains there,” he stated. 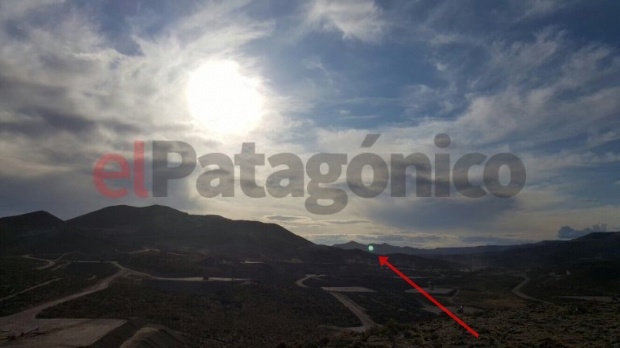 Lucas, who took the photo, made assurances through El Patagónico’s WhatsApp account that it is not a hoaxed photo. One of the analyses performed by his co-workers using an embossing filter shows that it is neither a drawing nor a light, but an object. 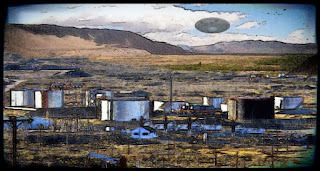 Argentina: A UFO in General Alvear?